Rosemary Francis lived for two decades in Asia. A trained teacher with a degree in linguistics, she holds post graduate diplomas in TESOL (Teaching English to Speakers of Other Languages) and Public Relations. 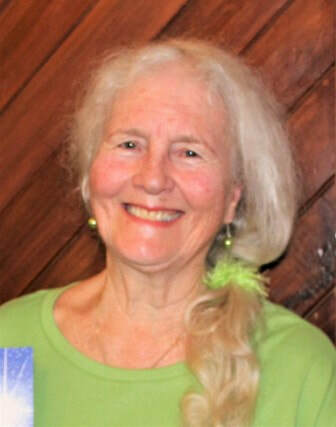 Rosemary is a prolific journalist, poet, and editor of several magazines, with a dozen published books and many contributions to international magazines and anthologies. The most interesting chapter of her writing career was as a columnist and feature writer for Straits Times, which has the largest circulation of any English newspaper in Asia. Rosemary was a ‘quake refugee’ from Canterbury and moved to Blenheim just in time for the Seddon quakes, then the 7.8 Kaikoura devastation. She’s accepted that her beloved South Island rocks and rolls, and it’s impossible to escape the power of Nature. There has been a writer in Rosemary’s family in every generation, and her mother encouraged her to accept that mantle as a child, when she won several writing competitions with local newspapers. She is active in her church, and works for animal rights and environmental responsibility. Proud mother of four and grandmother of eleven, she is enjoying being a ‘hands-on’ grandma to some of her brood. Rosemary shares her retirement home with a menagerie of rescued birds, fish and fur friends. Rosemary’s publications include a number of books on language, first aid and cultural diversity, as well as short stories, published in Singapore and in Christchurch.